The point of that opening line was to proclaim himself the long-awaited Messiah and to publish his mission statement: to bring good news to the poor, to proclaim the release of captives, to give sight to the blind, to free the oppressed, and finally, to proclaim the year of the Lord’s favor (also known as the Year of Jubilee). It’s interesting to note that, when Jesus quotes the scripture from Isaiah, he omits a final phrase. The last verse should read that the Messiah was sent to proclaim “the year of the Lord’s favor and the day of vengeance of our God.” Surely his audience knew the scripture and noticed the omission. Why did he edit the holy text? Maybe because he had no intention of inaugurating a day of vengeance ever. Or maybe because that day of judgment and wrath is meant to come later, at the end of history. Now, I mentioned that the extract from Isaiah served as Jesus’ mission statement. Let’s compare and contrast that one with the mission statement from the Episcopal Church’s catechism: “The mission of the Church is to restore all people to unity with God and each other in Christ. The Church pursues its mission as it prays and worships, proclaims the Gospel, and promotes justice, peace, and love. 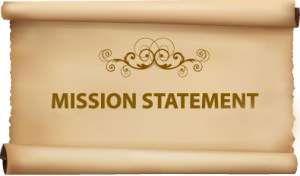 The Church carries out its mission through the ministry of all its members.” Now, there is some overlap between the two mission statements, but not a lot. One thing is obvious: Jesus’ mission statement is a lot more concrete—and a lot more radical! Just imagine for a moment what it would be like if the Church actually implemented Jesus’ mission statement. It would mean that we would spend a lot of our time supporting the poor. We would spend a lot of time advocating for prison reform. We would fund hospitals and medical centers to treat the blind and the disabled. We would be writing letters to governments through the world demanding that political prisoners be released. 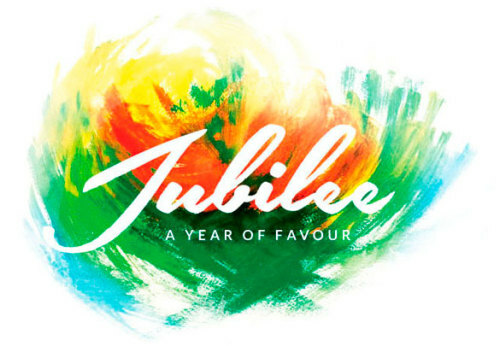 And last, but certainly not least, we would be encouraging our legislators to enact a Year of Jubilee. Now, if we’re honest, we will admit that the Church’s agenda doesn’t agree very well with Jesus’ agenda, especially that bit about the redistribution of the nation’s wealth! But to give credit where credit is due, this congregation has proclaimed good news to the poor by feeding 65 men at a shelter for the homeless. This congregation has sent money to the Holy Land to buy medicine for a Christian hospital. A few years ago, many of us signed a petition to end the death penalty. (While that’s not exactly the same as freeing captives, it is an important aspect of prison reform.) And I wouldn’t be a bit surprised if one or two members of this congregation financially support Amnesty International’s work to free political prisoners. My point, I suppose, is that we could do more to advance Jesus’ agenda, both as a congregation and as individuals. But first we have to wake up to the fact that Jesus’ agenda is, in fact, the Church’s agenda; his mission is the Church’s mission. 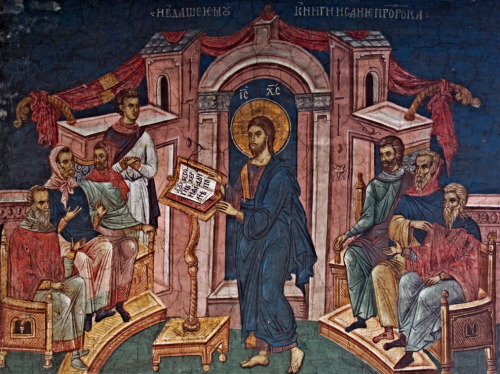 Now, next week, we will hear what happened to Jesus after he proclaimed his mission statement in the synagogue at Nazareth. I don’t want to spoil the story for you, but I will give you a hint: it doesn’t end well. And if the Church ever decides to take up Jesus’ impossibly radical agenda in earnest, I expect there will be hell to pay! So, brothers and sisters, how about it? Are you ready to go out and turn the world upside down in the Name of Jesus?